The Telugu film industry is slowing going through a positive transformation. The industry is now seeing the rise of many young filmmakers with innovative ideas and limitless passion. The trend has gained more power thanks to some of the recent successes garnered by short filmmakers like Sujeeth, Merlapaka Gandhi and recently, Karthik Ghattamaneni. They have been making their presence felt with their unique and interesting films. Joining the list of these short filmmakers is Sriram Adithya, who is popular on YouTube, with several of his short films doing very well. 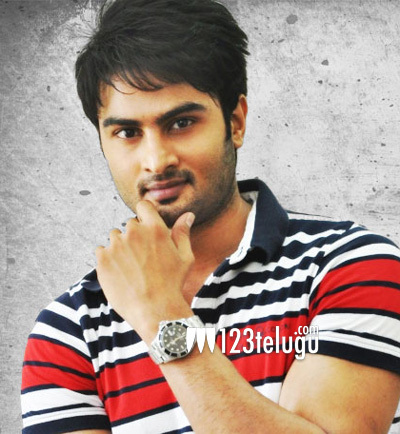 The young filmmaker has now grabbed a plum offer to direct Sudheer Babu in his next. The yet to be titled film has been launched yesterday and the regular shooting will commence soon. Punjabi actress Wamiqa Gabbi has been cast opposite Sudheer for this movie.